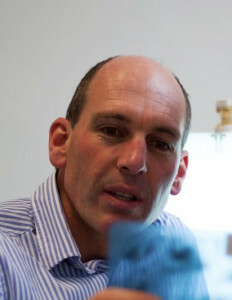 Dr Barton graduated top of his year as a dentist from Edinburgh University in 1988. He commenced working as an orthodontist in 1989 and completed his training to become a fellow of the Royal College of Surgeons of Edinburgh in 1991. His GDC registration number is 63221. In 1996 he graduated from the three year post-graduate orthodontic training programme at Liverpool University to become a specialist in Orthodontics (M Dent Sci/M Orth), and won the prestigious orthologic prize for the best treated patients. In 1998 he left the hospital orthodontic service and moved to Shropshire to establish The Belmont Orthodontic Centre. Philip is a registered Specialist in Orthodontics with The Royal College of Surgeons and the General Dental Council. He is also a member of The British Orthodontic Society and The British Dental Association. He is regularly invited to attend and participate in orthodontic meetings and courses. Philip has a large and expanding private practice treating most patients with the discreet ceramic brackets and clear aligners. Ten years ago most of his private patients were children. Now with the increased awareness and acceptability of orthodontics amongst adults (combined with the discreet appliance systems), the majority of his patients are adults. Dr Yaqoob has been providing the highest quality of orthodontic care for over half a decade in Stoke-on-Trent. He strives to create beautiful smiles and he continues to produce amazing smiles for his amazing patients. Dr Yaqoob graduated from Guys and King’s Hospital London. Over a 5-year training period, he received over 7 awards in Special Care Dentistry and Restorative Dentistry. He was also awarded the F. R. Moser Prize and Sauders Scholarship, and was recognized as the best clinician to qualify from his year. 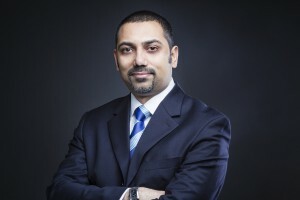 Dr Yaqoob gained vast experience in Pediatric Dentistry and Maxillofacial Surgery, following which he was accepted at Guy’s and Kings Hospital London for his orthodontic training programme. During this period, he carried out research which was published in the prestigious journal of Angle Orthodontist and he was awarded the first prize in the UK for his research presentation. He also achieved and was awarded the gold medal for treated cases at the British Orthodontic Society conference. He has published the Royal College of Surgeons, Impacted Incisor guidelines and numerous other publications. Dr Yaqoob is an active member of the British Orthodontic Society, the American Association of Orthodontics, the European Orthodontic Society, the World Federation of Orthodontics and the European Society of Lingual Orthodontics. He regularly attends seminars and conferences to ensure he is up to date with the most modern clinical and diagnostic orthodontic techniques. He is committed to providing advanced and comprehensive orthodontic treatment for patients of all ages. Patients in his care receive personal attention, support and a friendly and professional service. They benefit from the most comfortable and effective orthodontic care which gives them the beautiful and healthy smiles they deserve. Dr Yaqoob uses his training and expertise to provide a wide range of orthodontic solutions to achieve the best possible outcomes for all his patients, ensuring they have a tailored and individualized treatment. He is certified to provide Invisalign, Invisible Incognito and Win Lingual braces. He is proud to say that teeth are precious, and orthodontic treatment is a big step to take and making the right choice is very important. Dr Yaqoob believes there is no better reward than the beautiful and happy smiles he gets from his patients when their braces are removed. His GDC registration number is: 82551. Our orthodontists are registered with The General Dental Council. Click on the link below to visit their website.